PHS's sophomore Bryce Awono becomes the newest State Student Member of the Board 2018-2019. 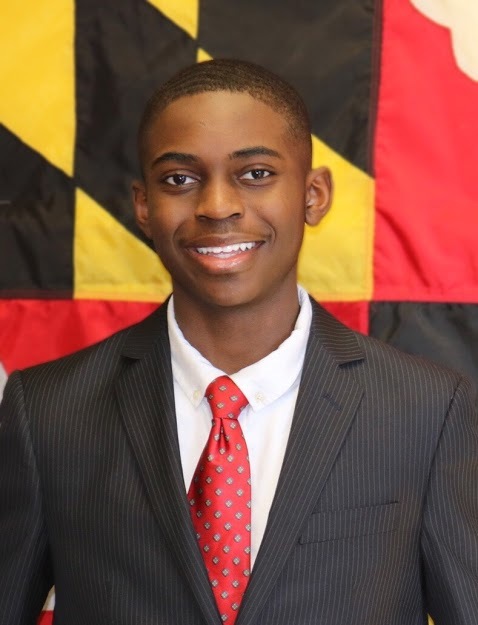 After applications, interviews, nominations and elections, Parkdale sophomore Bryce Awono has been named the State Student Member of the Board (SSMOB) of the 2018-2019 school year. While the SMOB title is one that will look great on Awano’s transcript and resume, it does not come without hard work. According to the Maryland Association of Student Councils, the elected SMOB “must spend one or two days per month in attendance at State Board meetings [and] considerable time prior to each meeting must be devoted to reviewing policies and programs scheduled for action or review by the State Board”. Awano will be responsible for balancing both his academics and responsibilities as the newly appointed SMOB. Still, he is up for the challenge, having prepared for this responsibility. In addition to the monthly meetings, the student member spends about two weeks per year attending the convention of the Maryland Association of Boards of Education (MABE) and/or the National Association of State Boards of Education (NASBE) along with other State Board workshops/retreats. This is not the first time that a Panther has been elected to the position of SMOB. In 2015, then-junior Juwan Blocker was nominated and elected into the SMOB role. He has since graduated from Parkdale and is currently running for the Prince George’s County Board of Education member for District 3. Like Blocker, Awono believes that students play an important role in shaping the school system into the best it can be for those who it is supposed to serve: the students. “Understand that your voice has tremendous weight and never hold your head low,” Awono advised students. “Everyday you are granted opportunities to make the changes you wish to see. Seize the moment and take action”.